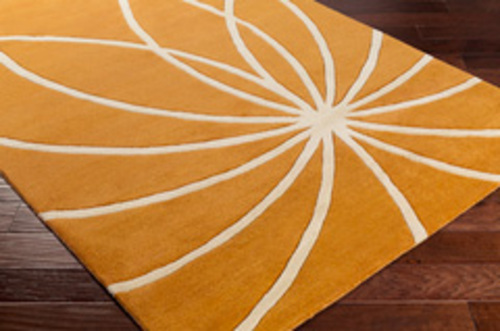 Add a midcentury-inspired piece to your living space with the Forum Rug 100% Wool in Orange. 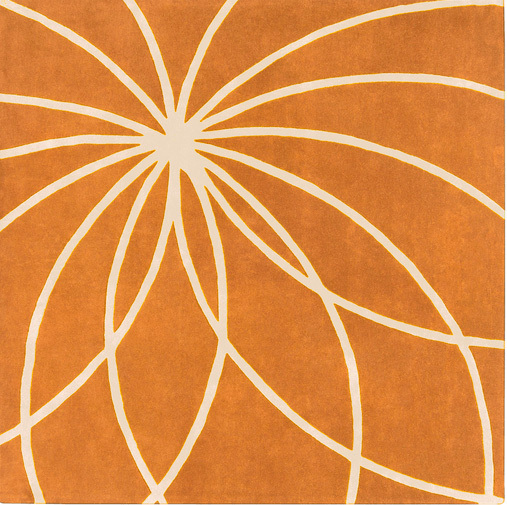 Bursting with color and a geometric, floral-inspired design, this piece will draw attention when paired with neutral and classic furnishings. 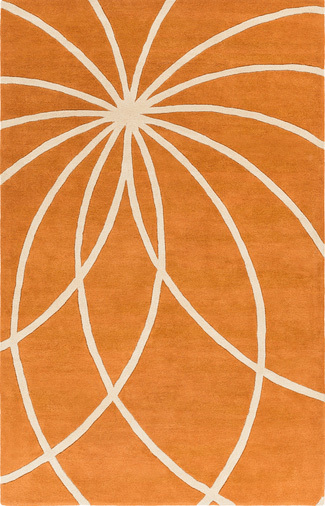 This hand-tufted rug is 100% wool with a medium pile and cotton canvas backing, perfect for mixing with subtle patterns and serving as a focal point wherever it?s incorporated. 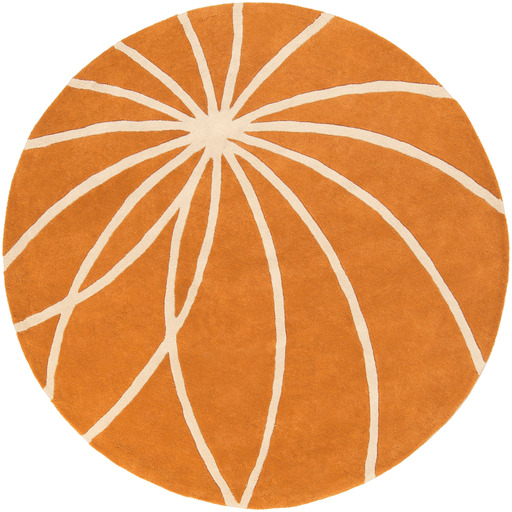 The cream starburst design is carved on a burnt orange background. 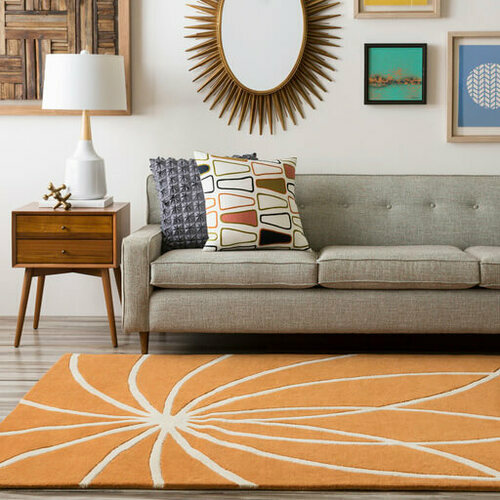 Talk about pop of color!